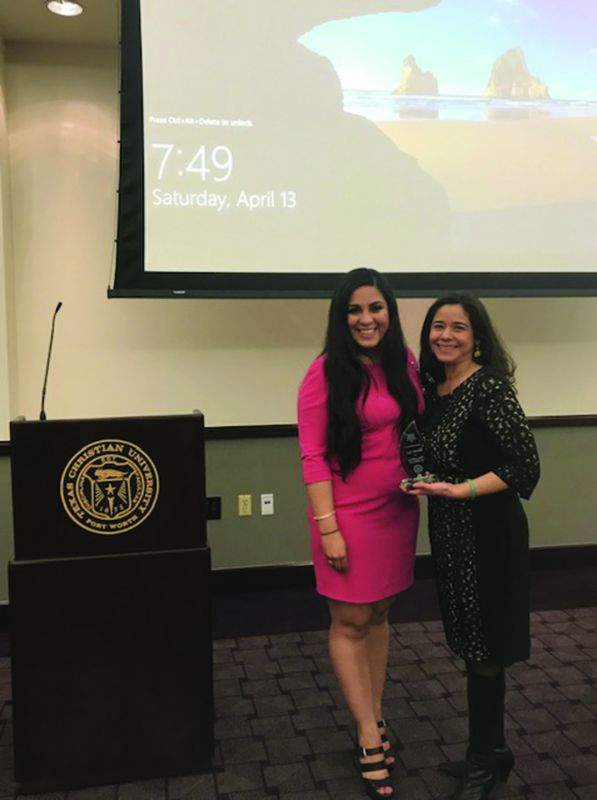 TAMU Law Associate Dean Luz Herrera received the Emblem of Excellence award from the Hispanic Debutante Association of Fort Worth (HDAFW) in April 2019. The organization provides scholarships and support to Hispanic students so that they may complete high school and attend college. Herrera gave the keynote speech at the HDAFW annual awards dinner where 12 students were awarded scholarships. 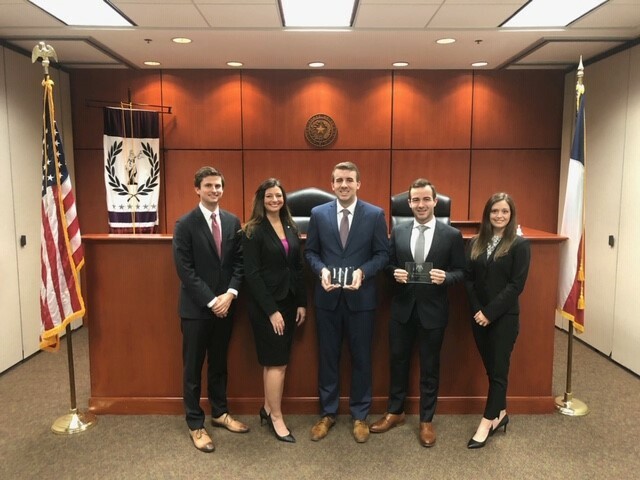 Both Texas A&M University School of Law moot teams competing in the American Bar Association (ABA) national finals this month, finished as national semifinalists--a part of the top four in the nation. Texas A&M University School of Law Professor Bill Henning has been appointed by the President of the Uniform Law Commission (ULC) to serve as a member of a newly formed ULC and ALI Joint Study Committee on the Uniform Commercial Code and Emerging Technologies. 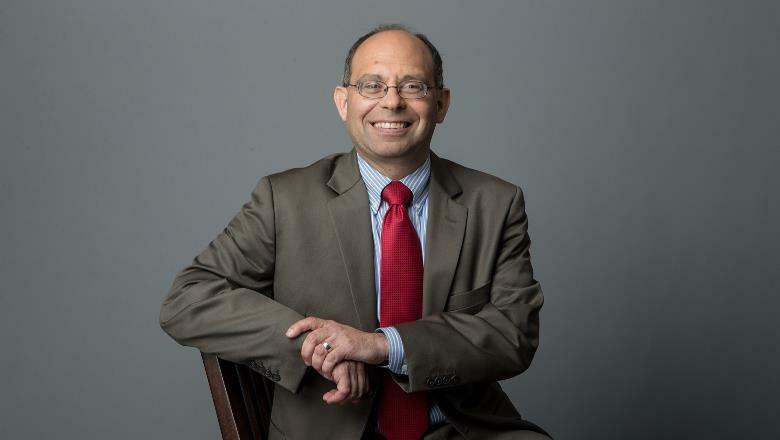 The study resulted from a recommendation to the ULC and the American Law Institute (ALI), the two organizations that sponsor the UCC, from the Permanent Editorial Board for the UCC, on which Professor Henning also serves. Professor Henning is a Life Member of the ULC and a member of the ALI. It has become apparent in recent years that emerged and emerging technological developments, including developments in distributed ledger technology (e.g., blockchain), have created the potential for commercial transactions that are not adequately addressed by the current Official Text of the UCC. In addition, a market need has developed for negotiable electronic promissory notes under Article 3 of the UCC, which as of now requires that negotiable instruments be set out in a physical writing. The Joint Study Committee will examine these and possibly other issues and recommend whether amendments to the UCC should be drafted. 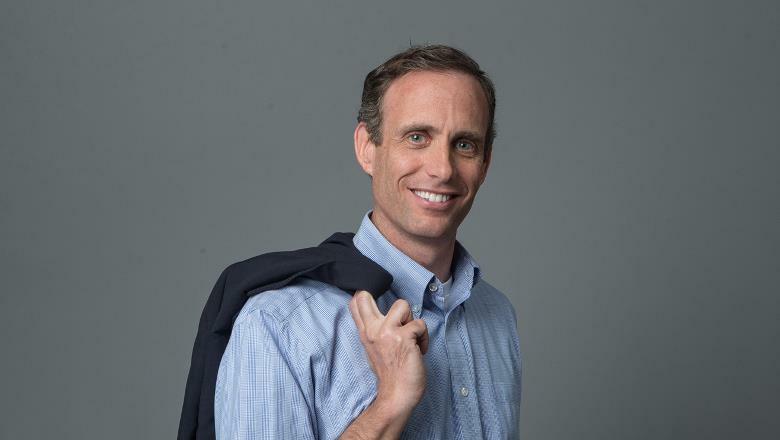 Texas A&M University School of Law is delighted to announce that Instructional Associate Professor of Law John Murphy has been selected to receive a Texas A&M University Distinguished Achievement Award in the category of teaching. Texas A&M University President Michael K. Young says that this award is “among the most prestigious awards that can be presented to faculty or staff at Texas A&M University. 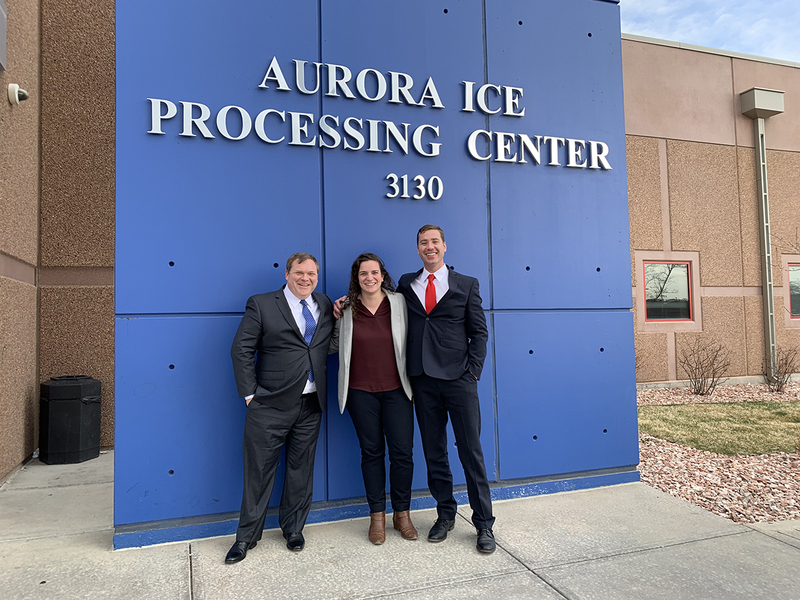 The selection is rigorous, and the recipients are chosen by a campus-wide committee composed of faculty, students, former students, and staff.” The award is funded by the Association of Former Students. Students participating in the the Texas A&M University School of Law Immigrant Rights Clinic won protection under the Convention Against Torture for a client from Somalia last week. The court found a greater than 50 percent chance of future torture with government acquiescence. This is an extremely difficult type of case to win, according to TAMU Law Professor and Director of the Immigrants Rights Clinic Fatma Marouf. Nationwide, only 1.8 percent of applications under the Convention Against Torture were granted in 2017. 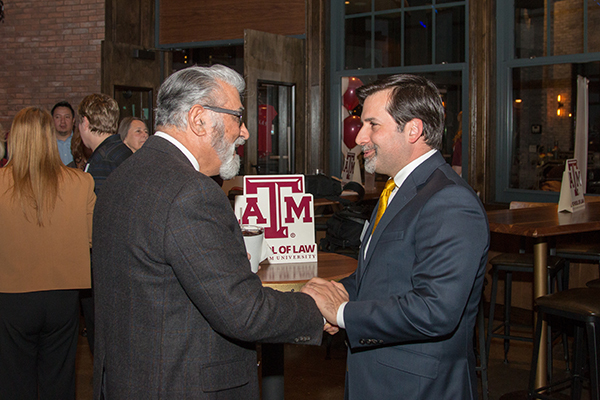 TAMU Law Professor Neil Sobol testified in support of Texas House Bill 996 before the Texas House Committee on pensions, investments and financial services late March in Austin. Each year, students in the Residency Externship Program in Public Policy (REP-PP) contribute to the REP-PP website through blog posts. In addition to the “Meet the Students” blog posts, each student submits at least one post centered around one of the Aggie Core Values - Loyalty, Excellence, Integrity, Leadership, Respect and Selfless Service. Check back often to see how our students are progressing in their externships and exemplifying our Aggie Core Values. Get to know the students participating in the Spring 2019 Texas A&M School of Law Residency Externship Program in Public Policy in Washington, D.C. and Austin, Texas. Click here. Applications for 2020 will be accepted until June 1. This is the opportunity for increased exposure to leadership, service and policymaking. 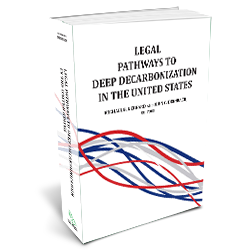 The Environmental Law Institute (ELI) released Legal Pathways to Deep Carbonization in the United States this month, and TAMU Law Professor Elizabeth Trujillo contributed the eighth chapter titled, "Trade Considerations for Decarbonization Strategies." Dean Ahdieh accepts a board position with Downtown Fort Worth, Inc.
Texas A&M University School of Law dean, Robert "Bobby" Ahdieh, joins the Board of Directors of Downtown Fort Worth, Inc. Downtown Fort Worth, Inc. (DFWI) was established in 1981 to plan, advocate and manage public space projects in the downtown area. It is a 501(c)(6) non-profit membership organization, focused on making downtown Fort Worth a "premiere destination for work, leisure, living and shopping." 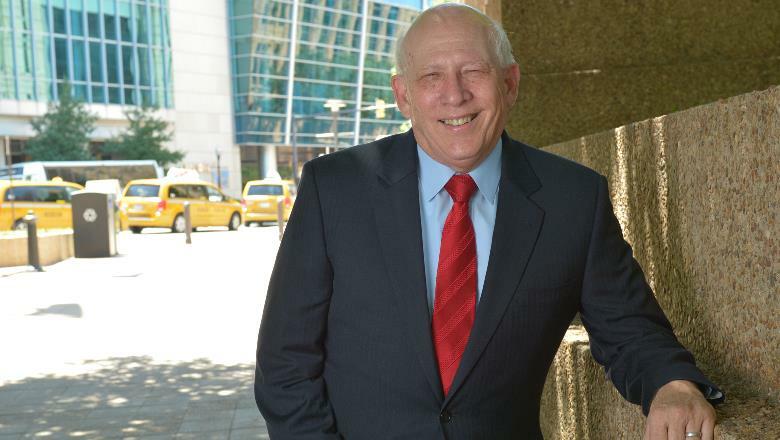 "Given the School of Law's strong commitment to Fort Worth and its downtown, I could not be more pleased to join in DFWI's important work."